67k In port, prior to World War I. 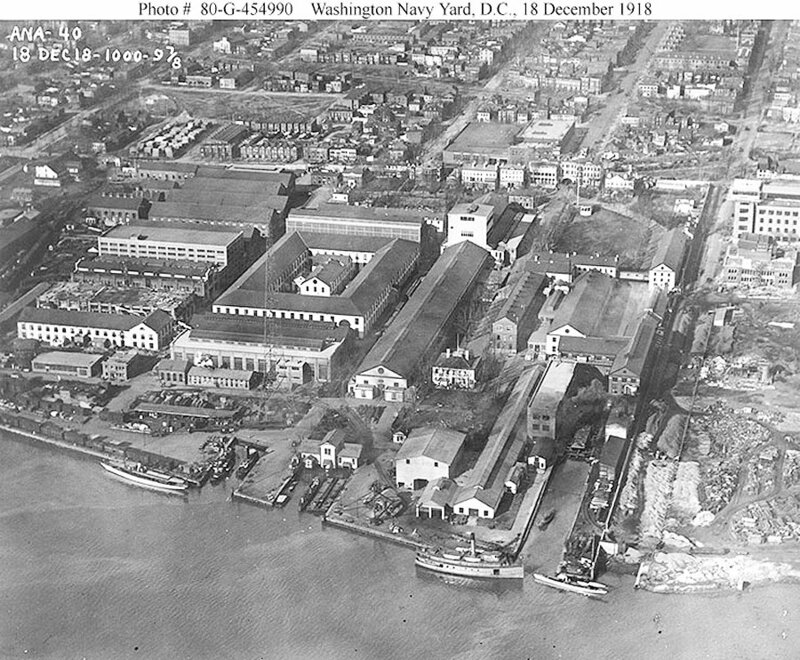 240k Aerial view of the main part of the Navy Yard, looking north (and a little west) from over the Anacostia River, 18 December 1918. Photographed from a Naval Air Station Anacostia airplane. Note construction work in the Yard's eastern extension, to the right. 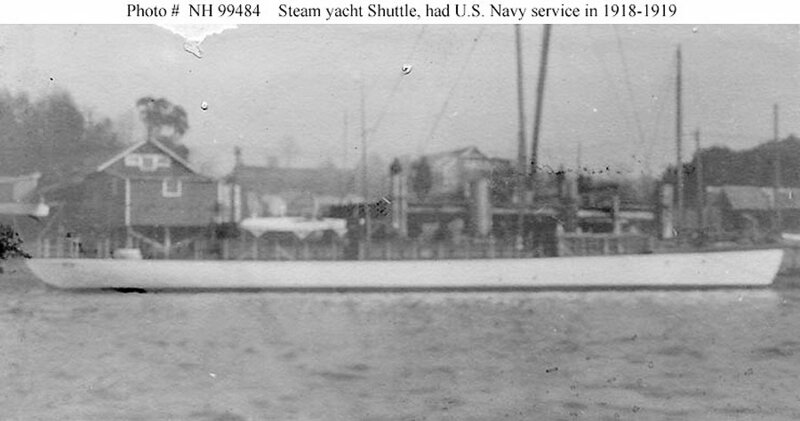 Ferry steamer Boothbay (ID 1708), which was later renamed Grampus, is in the lower right center, with USS Shuttle (SP 3572) immediately off her bow (further to the right).